Hyaluronic acid occurs naturally in humans, and is found in young skin. Topical applications are used to treat wrinkled skin and may help to reverse the signs of aging. Hyaluronic acid draws moisture from the environment to the skin for a superb moisturizing effect. Hyaluronic acid became popular in skincare in the 1990s. Why has this ingredient become so popular? HYDRATION! This is what makes it so powerful in your skincare regimen and treatment offerings. Hyaluronic Acid keeps skin hydrated and holds moisture in the skin. 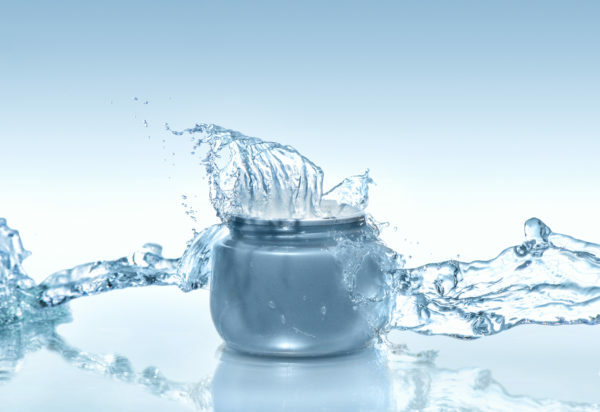 Hyaluronic acid can hold up to 1,000 times its own weight in water. It works by attracting and holding the water to your skin. Hyaluronic acid and sodium hyaluronate are often used interchangeably. They are essentially the same thing. Sodium hyaluronate is the salt of hyaluronic acid. Both exist naturally in the human body. Hyaluronic acid is usually created by bio-fermentation in a lab. Generally when you see hyaluronic acid in skincare it means sodium hyaluronate that was lab-created to be identical to the one found in nature (harvested from rooster combs). In colder climates when using hyaluronic acid serum you should use a thicker cream moisturizer on top to hold in the moisture. All skin types can use this ingredient for hydration. It is best applied to clean skin and then a moisturizer can be applied.